This is the quick and easy best snorkeling cameras 2019 buying guide. You can also see our reviews and thoughts on many other similar cameras through links below each camera on this page. We chose these cameras based on what is currently available in the marketplace, our experience using some of them on many snorkeling trips, and opinions and sample pictures from the large snorkeling community who follows this website. 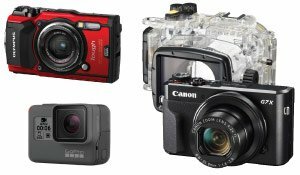 You really can't go wrong with any of these options for the best snorkeling cameras. 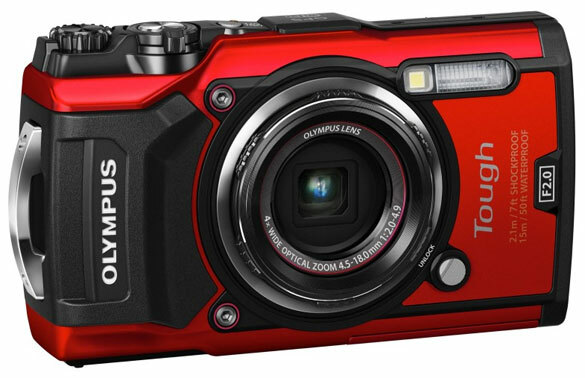 One of the best snorkeling cameras is the Olympus TG-5, available here at Backscatter and here on Amazon. It is waterproof without needing a separate housing. Although we think getting the waterproof housing for it is a good idea. It seems the best fit for the needs of the majority of snorkelers. It's affordable, compact and takes great pictures, and is the king of easy macro shots. Really the only downside to the TG-5 is that it is less durable (more likely to flood), than a more expensive compact camera with a separate housing, and the image quality is slightly lower. The Olympus TG-5 continues this immensely popular camera series following the TG-4, and they have improved what was already the best camera of its type in a number of great ways. The TG-5 now has a new 12mp sensor, capable of high ISO of 12,800, and a new image processor borrowed from the Olympus professional OM-D cameras. It also adds 4K video, 20 frames per second, a new control dial on top, a larger zoom lever, dual-pane cover glass to help avoid fogging, better GPS, and many other improvements. It retains the fast F2.0 lens, 25-100mm, a great range for snorkeling. It also has fast focusing speeds. Both make it easier to stop fish motion and get sharper pictures. 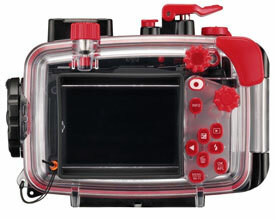 And it still has dual image stabilization, a compass, manometer (water depth), and four different underwater white balance modes. 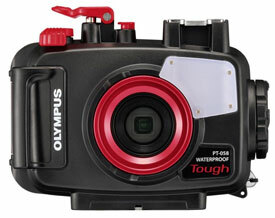 You can solve the risk of the TG5 flooding with the Olympus PT-058 housing, available here at Backscatter and here at Amazon. Besides making the TG5 virtually bombproof, it makes this small camera easier to hold and control with bigger buttons. Also, the housing gives you access to more underwater accessories, like a wide angle lens. It includes a lens cap (great feature) and a screen sun shade. 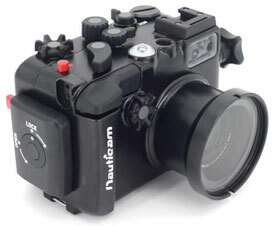 The camera also has a number of cool accessories available for it when not in use with a housing..
See the full list of similar waterproof cameras here. 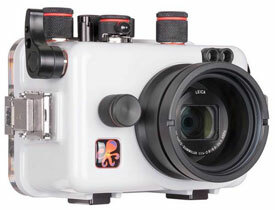 From our experience, compact cameras with housings are the best snorkeling cameras. They are what we use, and give you an ideal blend of small size, excellent picture quality, and manual controls. The price is higher for this type of setup, but the benefits are worth it for the image quality. The Panasonic Lumix LX10 available here at Backscatter and here on Amazon, is what we would buy today as a snorkeling camera. It is the best compact camera if you want the most photographic control. It has a big 1" sensor, for lots of fine image detail. It has a very fast F1.4-2.8 zoom lens, from 24-72mm. And it has 4k video. What really sets it apart from its competition is the ability to set controls up like you want them. You can even program a button on the back for auto focus, instead of having to half push the shutter button. The other really important feature is its excellent manual white balance settings that are easy to access, and you can store four different white balance settings. There are two housings available, the Ikelite LX10 Housing available here at Backscatter and here on Amazon, that is the most affordable, and the Nauticam NA-LX10 that costs much more, but is more compact with a nicer control set. 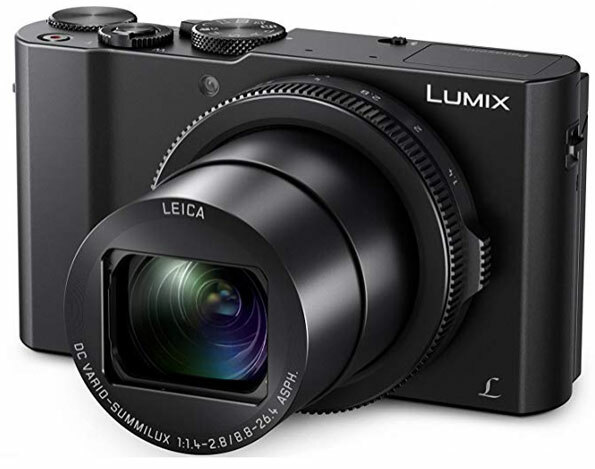 See more choices in compact cameras. If you shoot mostly video, and don't mind a super wide angle fixed lens (no zoom), then the fully automatic new GoPro Hero7 Black available here at Backscatter and here on Amazon, is a super small camera that is waterproof without a housing (although we still recommend you get a housing for it, here at Backscatter or here on Amazon). Having a very small camera when snorkeling can be useful, both for packing in your luggage, and for just having less stuff to deal with in the water. Read my full review of the GoPro for snorkeling. You already own a great camera on your iPhone. 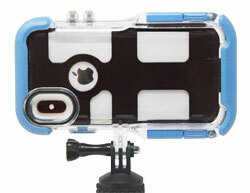 With a ProShot case you can safely take your iPhone snorkeling, at a bargain price. ProShot is a true waterproof housing that is suitable for snorkeling. They include a software app to make the most use of your iPhone underwater. Learn more about underwater case options for your iPhone.